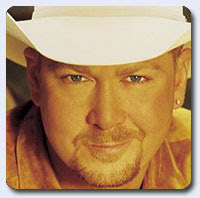 Finding Out Who Your Friends Aren't: Sony BMG apologized to radio for attempting to strong-arm programmers into dropping the Tracy Lawrence/Kenny Chesney/Tim McGraw hit, "Find Out Who Your Friends Are". When this controversy started, I fielded several calls asking my counsel. I am not a lawyer and don't play one on the radio. In my position I have to look at both sides. While everyone seemed to be skewering Sony BMG, I wondered, what's their side of the story? A Sony source told me that CO5 (on behalf of Tracy Lawrence) was encouraging stations to play the version with the three stars, when they had agreed that they would not promote that version. Sony may be reluctant now to discuss their side since they looked so bad sending out their emails. The bottom line though is that Sony BMG appeared as the big corporate machine trying to shut down the little guy who's simply trying to break through so that Sony songs would have a better shot at the number one chart position. Wonder what Kenny Chesney thinks about all this? I've never been a fan of mass consolidation in the music industry. The more that is under control of one company, the less chances we'll see being taken, at least by the majors. The good news though is that independent labels are breaking through with real hits from Tracy Lawrence, Emerson Drive and Jason Aldean. Radio is to be commended for looking past the majors to find the best music to fill the slots.